Last year, Transpositions, then a barely out of its swaddling cloths as a collaborative project, was named runner-up as best newcomer blog in the Christian New Media Awards. We were shocked to say the least. I went to the fab awards dinner because I was the only one of our merry team who could go to London at such short notice and because we didn’t expect to made finalists. I don’t even have any photos of the awesome dress i was wearing (which means I can wear it again, right?). 12 months around, Transpositions is entered (we’re still eligible for the newcomer award – pretty great huh!) 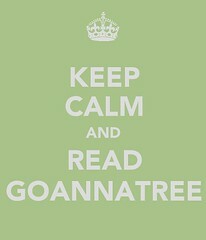 and so is Goannatree. I’ve learned alot in the last year and I’ve met some amazing people, full of wit, and passion. I’m a writer at heart, and new media is a tool to share that writing. One which requires a skill set, and wisdom. More than the Awards, The Christian New Media Conference will be held on October 15. If you can get yourself to London, then I highly recommend it. 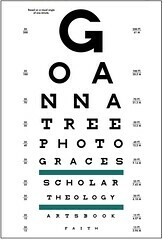 There are lots of strands and there’ll be something for every level of skill and plenty for those interested in exploring the theological foundations for communications in the digital realm. So are you joining me at #CNMAC11 ? Take a look here for schedule details.